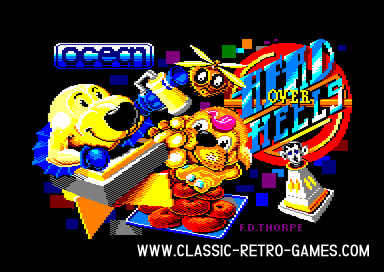 Head Over Heels was released around about 1987 it was immediately praised in the press as being quite the bestest thing ever. Not only was it a huge game for it's time, it also had great graphics and was very addictive - if somewhat punishing in its difficulty level. Even today it still stands as a brilliantly designed title and has never really been bettered in the isometric adventure genre. Currently rated: 3.5 / 5 stars by 13 gamers.